Matil is a fairy, at least that’s what she presumes. But it’s hard to say for sure because she has no wings, and no memory. Aside from vague recollections which come to her as she dreams, Matil has no knowledge of her past. Even her name has been given to her on loan since she can’t remember her own. Determined to find answers, she is joined by an unlikely pair of allies, enemies who put their differences aside for the sake of their nameless and wingless friend. 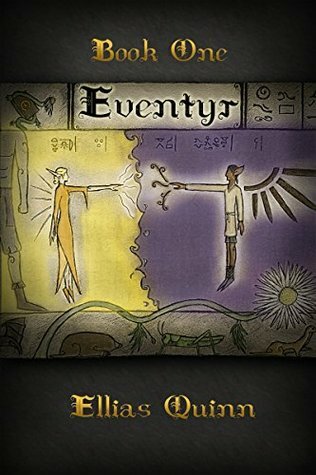 Eventyr is an incredibly unique tale which is as suspenseful as it is unexpected. With fabulously flawed, and genuinely likeable characters, this fantasy fiction novel is vividly insightful. Exhibiting exquisite depth, this delightful book leaves readers dangling at a precipice wanting for more. Ellias Quinn exhibits rare talent as an author in this, her first book in the Eventyr series. We look forward to reading more work from this extremely gifted writer. Many thanks to you all for this excellent review.